How to get a Perfect Wing Line, every single time? This best-selling liquid Wing Eyeliner with a stamp will make things easier than ever! Waterproof & Smudgeproof - dries quickly and holds on strong. 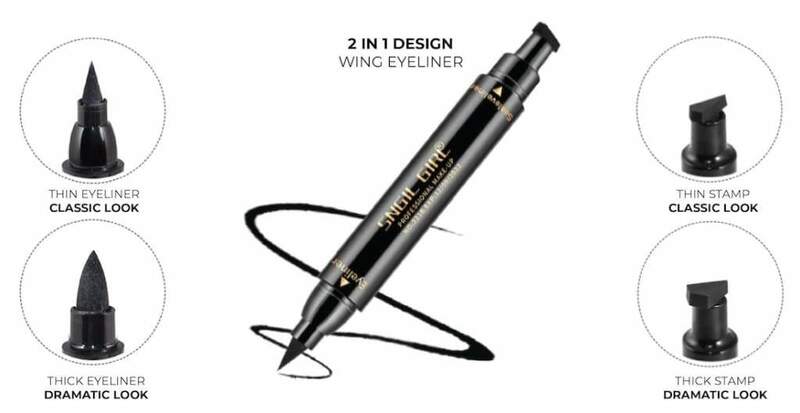 2 in 1 Design - precise Eyeliner on one side, Wing Stamp on the other. No dipping required, the liquid is already in the pen. No need for a messy brush, very smooth to ensure consistent color. Deep, black color that makes any eye pop. Easy and simple to use - just Stamp and Line. High Quality, one of the top-rated Eyeliners available. Line up the stamp from the corner and press the stamp. 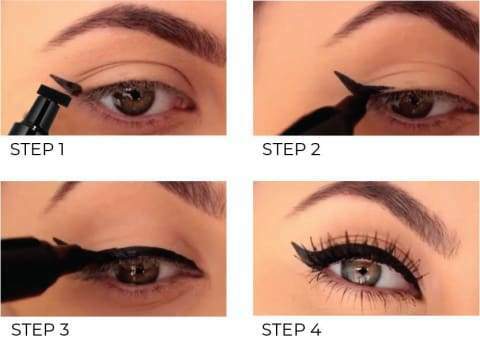 Fill the remaining space with Eyeliner tip. Extend through the whole eyelid. Flawless makeup with a perfect wing line. 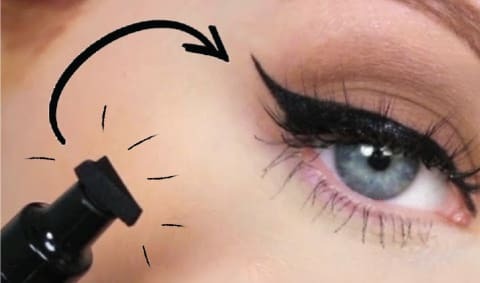 Grab yours and never struggle with your Wing Eye Look again! 50% OFF Today Only & FREE Worldwide Shipping Available! *Due to High Demand, Please Allow 2-3 Weeks for shipping (USA). Tracking provided. It normally takes 5-7 days for tracking to become available. For more details about shipping, follow this LINK. In case of a negative experience, everything will be done in order to make things right! As Grabsi's Friend, YOU are His TOP priority! Please be advised that buying from Grabsi's item inventory, there is NO RISK WHATSOEVER! If you are disappointed with your item, everything will be sorted out accordingly. No worries. There is 24/7 Personalised Support, always available for any kind of inquiries and assistance. *Website has Encrypted SSL certificates for 100% security. Amazing. I am very satisfied and would recommend it. I don’t know how to really do eyeliner and I’m hoping that this will help me and It’s doing a pretty good job and the eyeliner is very dark which I like. Great product for the small price. Very practical and to draw the tip eye liner. Easy to use. I recommend the product and the seller. Excellent! Definitely I will order more. Easy to make outline with required length and styling. So happy, I like it so much.thank you ! It’s easy to use & I love it!!! Eyeliner is very high quality, Stays on all night, doesnt smudge and is very resistent! great product, am really really satisfied! 5 stars all round! Excellent product highly recommend this product! very delicate and precise and simple! !